Sinai Divers School is certifying according to SSI, PADI and IAC. standards. The first open water dives will take place in Naama Bay, right in front of the center. Air-conditioned class rooms are equipped with the latest educational materials. Safety and fun in diving depend considerably on the equipment used. Therefore we equip our students with comfortable wet suits, Scubapro regulators and stabilizing jackets and other high quality diving equipment. The wide range of diving courses include: diving for kids, introductory dives, all training programs from beginner up to Divemaster level. In addition to our daily diving, we offer a wide range of courses to get you started or to continue your diving education. From Open-Water to Divemaster we offer all levels of certification using the internationally recognised standards of SSI, International Aquanautic Club ( IAC ) or PADI. 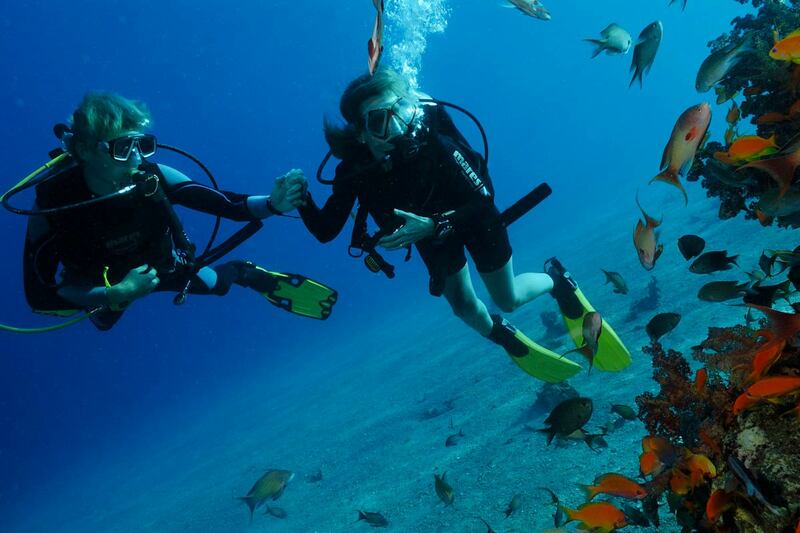 At Sinai Divers in Sharm el Sheikh children can start diving at the age of 8. Eight- and nine-year-old children can participate in the “bubblemaker” experience. This is a shore dive with a maximum depth of 2m. 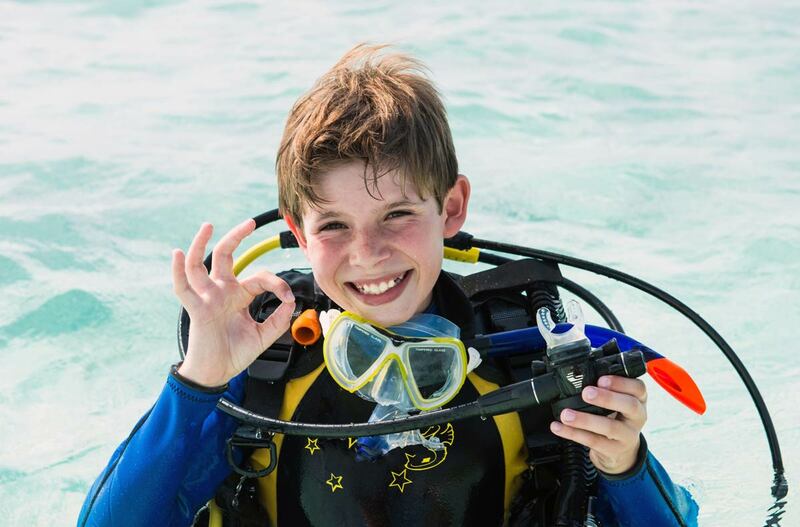 At the age of 10 children can do an introductory dive – either from the boat or from the shore – the maximum depth for this dive is 6m. The minimum age to participate in the Junior Scuba Diver or the Junior Open Water Diver course is 10. At the age of 15, this certification can be exchanged for the Open Water Diver certification. Are you an Advanced Diver, or have you done at least 10 dives already ? Then the world of diving with gas mix is waiting for you. 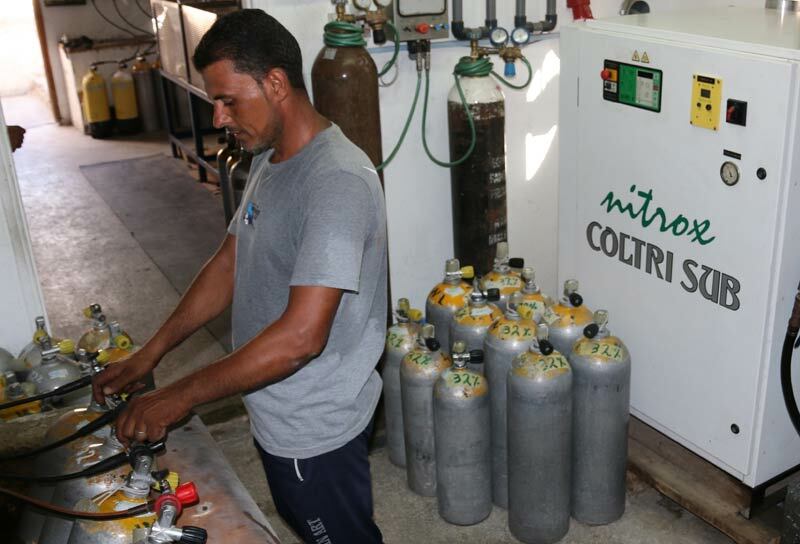 The Nitrox Course deepens on your knowledge about oxygen/nitrogen, and you learn how you can spend more time under water. You spend one day with your specially trained instructor in the classroom and you will have your first Nitrox Dive at our house reef. You will learn the use of the special Nitrox tables, and how to determine the oxygen content of the tank. You will be able to use your newly acquired skills by diving at the wreck of the ´Thistlegorm´ for instance, or else off a regular day dive boat. Intro-dives: If you would like to see what diving is all about, then we offer introductory dives of 30 minutes. 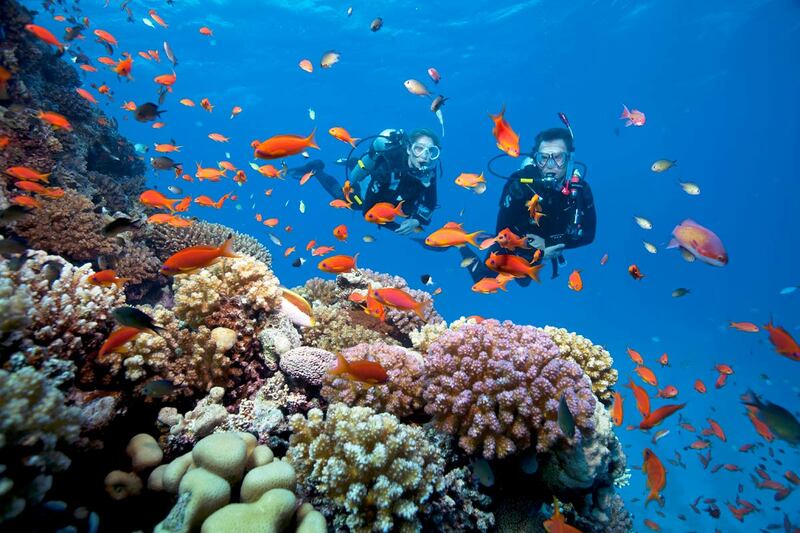 In a maximum depth of 5 metres of water, you will experience the beauty of the underwater world. This service is offered on an individual basis with a diving instructor. Open Water: A four day course with a maximum of six people in a group. 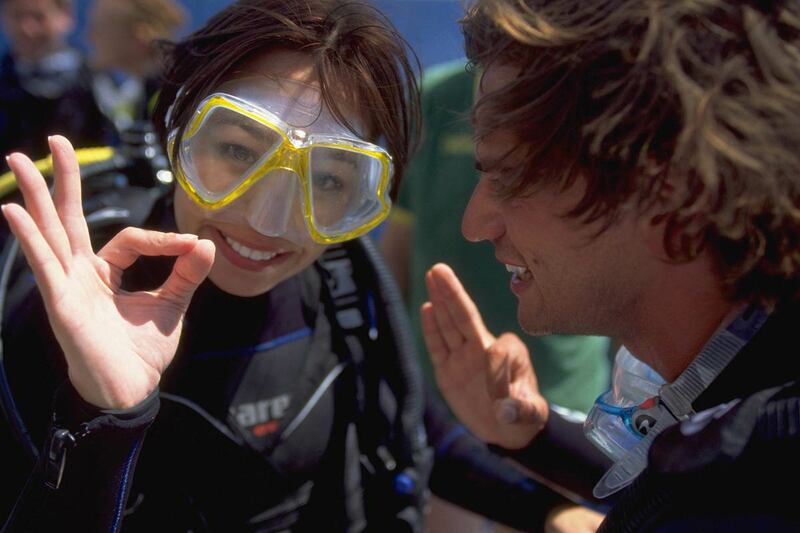 At the end of the course you will be able to enjoy recreational diving with confidence and skill. 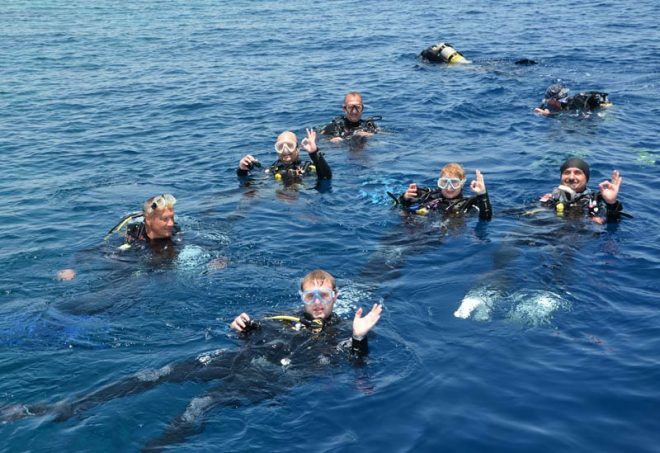 The course is divided into theory classes and practical exercises finishing with four open water dives – two of which will be from the boat on your last day. After completing the course successfully, you will receive your Open Water Diver certification. Further Education: If you want to take your education further we also offer advanced courses up to SSI Divecon, CMAS*** (gold) and/or PADI Divemaster as well as specialty courses including Nitrox. All specialty courses will be trained and certified after the regulations of SSI, IAC and PADI.